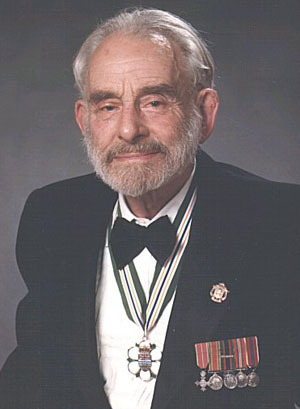 In 1990 Gerry Andrews was the recipient of the Order of British Columbia for his work as a teacher, an engineer, a forester, a land surveyor and a writer. He was the first school master of Big Bar Creek and Kelly Lake, B.C. This lead to the publication of his memoir Métis Outpost: Memoirs of the First Schoolmaster at the Métis Settlement of Kelly Lake, B.C. Kelly Lake, until very recently, has been extremely isolated and from 1923 to the summer of 1925 Gerry Andrews was the school master of Kelly Lake School. The village was mostly comprised of Métis and the women and children only spoke Cree, which lead to Andrews teaching them the "Three R's"; and by the end the children earned themselves the reputation of speaking the best English compared to their counterparts in surrounding settlements.